myTomorrows (Amsterdam, the Netherlands) today announced that Dr. James Shannon will join its supervisory board, effective immediately. Dr. James Shannon retired from GlaxoSmithKline as Chief Medical Officer in April 2015. Trained in Medicine and Cardiology, Dr. Shannon is a member of the Royal College of Physicians. Previously Dr. Shannon had a long career serving in various senior positions with Sterling Winthrop, Sandoz and Novartis and in 2005 he was appointed Global Head Pharma Development at Novartis. Dr. Shannon currently also serves on the boards of Mannkind Corporation and Immodulon. myTomorrows provides services to patients and physicians in need of drugs in development and diagnostic tests. 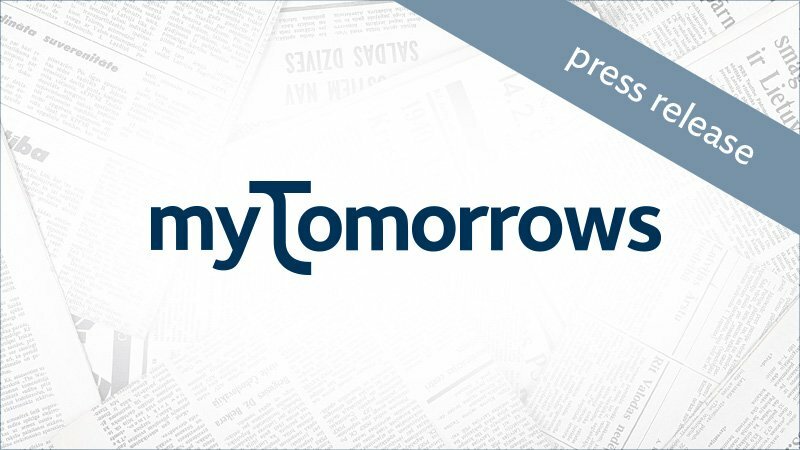 Through its Internet-based platform, myTomorrows provides uniform public information about early access programs, clinical trials and diagnostic tests to enhance data-driven decision-making and enable rational pharmacotherapy. myTomorrows also facilitates requests for diagnostic tests and drugs in development. For more information about myTomorrows, please visit http://www.mytomorrows.com.